Once you arrive you can see how much people love this place. You wait for a while to get the proper uniform in order to be able to start the climbing journey. This park is for all ages. For children up to 7 years old there were easy games and trails. The other games were for children above 8 years old and for adults. Neither climbing techniques nor special/specific physical fitness experience are necessary. 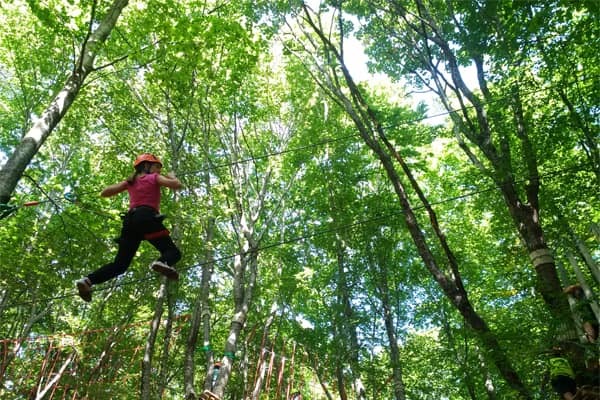 It is a place to have fun, test your courage, overcome your own fears and enjoying the beautiful nature in the forest. The difficulty level starts at a low level (yellow trail) and progresses to a very challenging level or “red trail”. 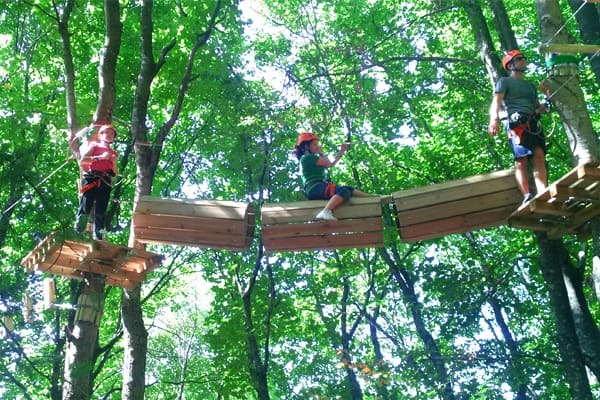 Kids are the ones who love and enjoy Adventure Parks the most. In a park they can act independently, try and fail and try again, and overcome their own fears without any risk. 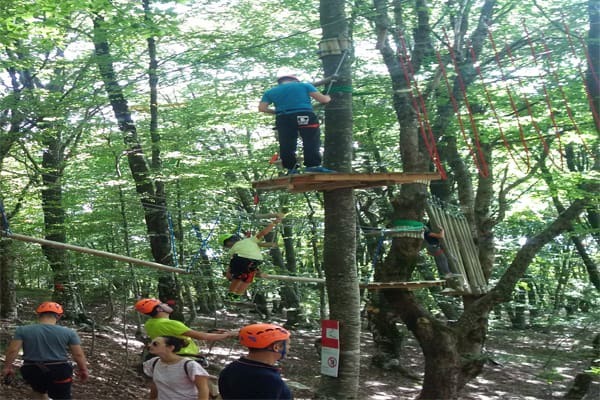 The staff of the Dajti Adventure Park are there very attentive and helpful. 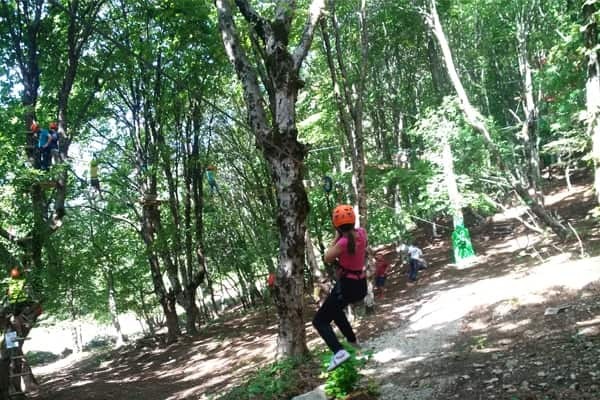 Each path finishes with zip lining, where people are sliding down rapidly from top to the bottom. This is a fantastic experience, and you want to do it again and again. Many foreigners or tourists are frequenting this park since it was opened in 2017. It is nice to see these people happy at the end of this adventure. The park is one more reason to visit Dajti Mountain, from which the view is just spectacular. 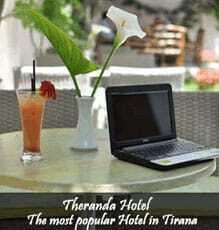 This attraction puts Tirana in list of cities for active tourism. 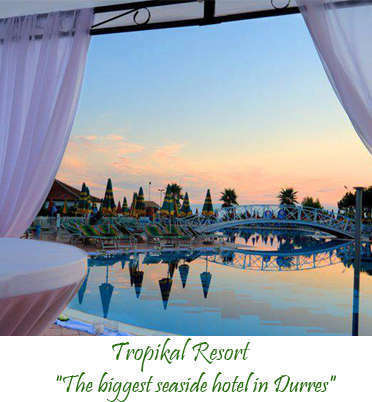 Travellers to Tirana can extend their stay in the city and experience some of its outskirts’ attractions as well, besides the city centre.